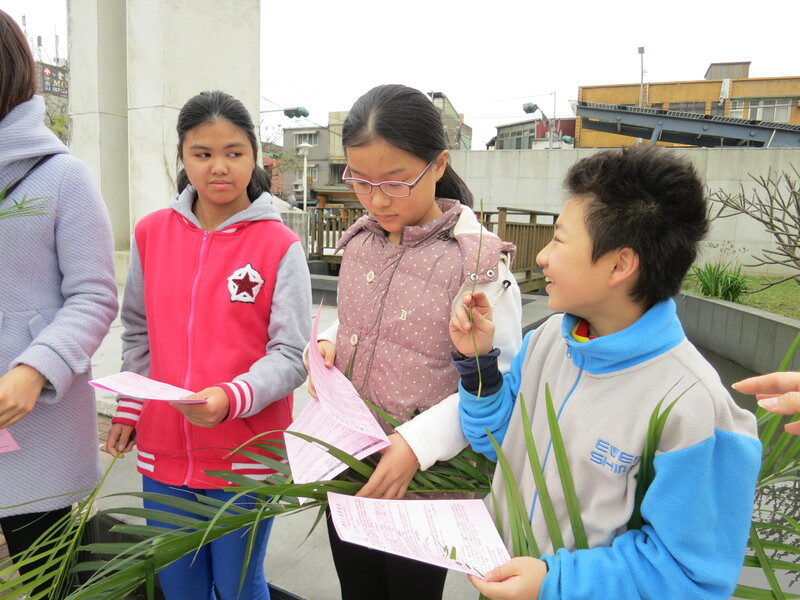 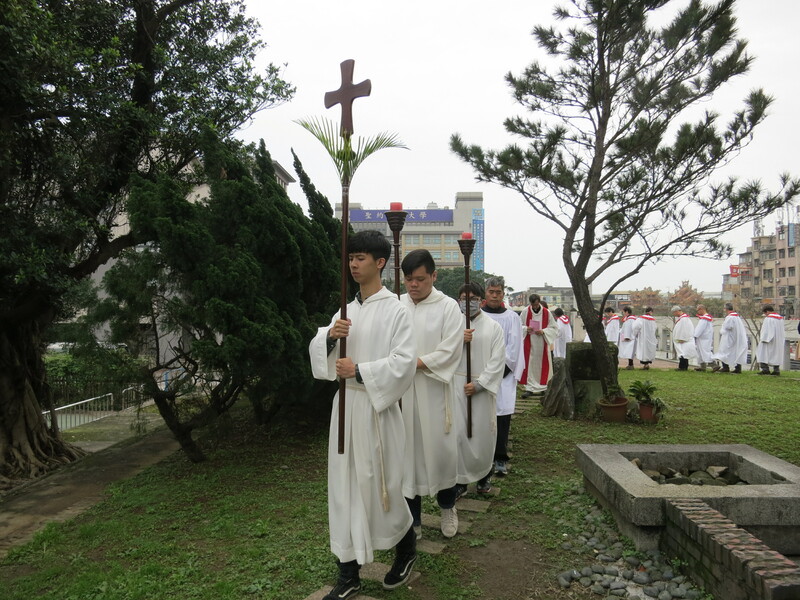 Palm Sunday 2016 ~ and now the start of Holy Week! 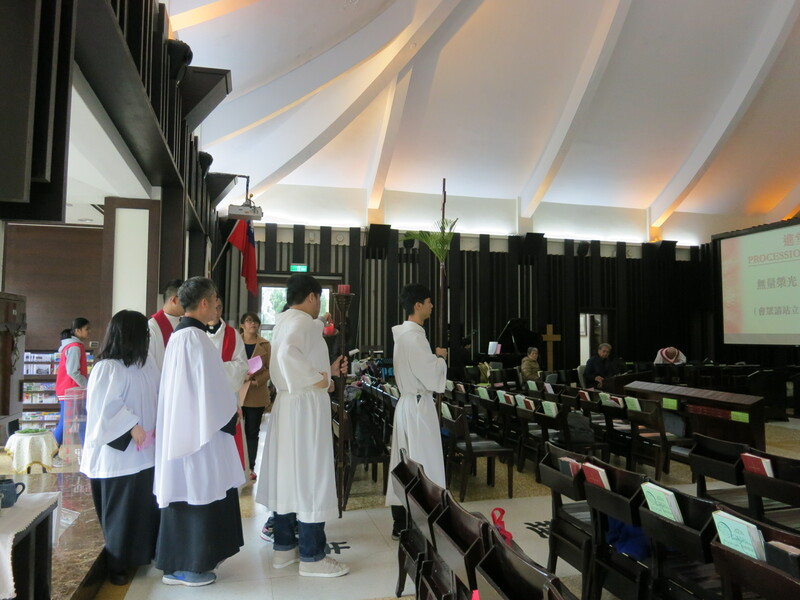 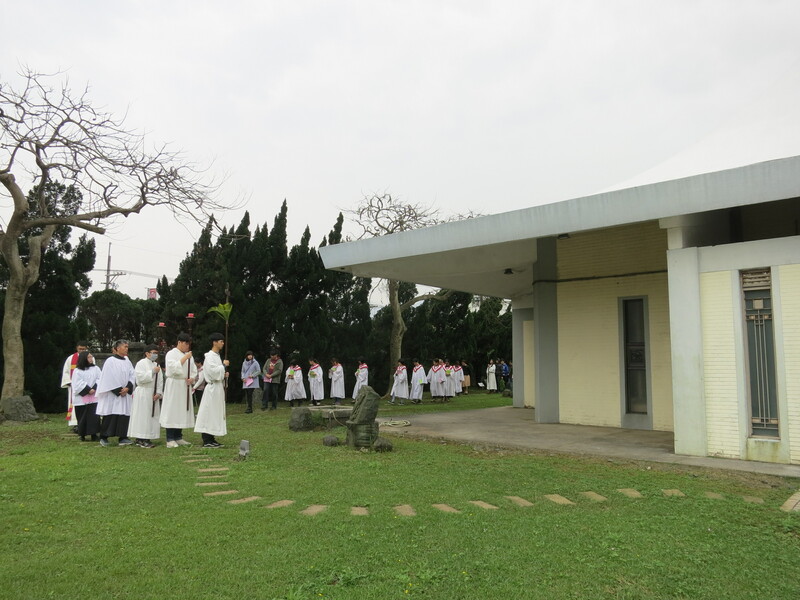 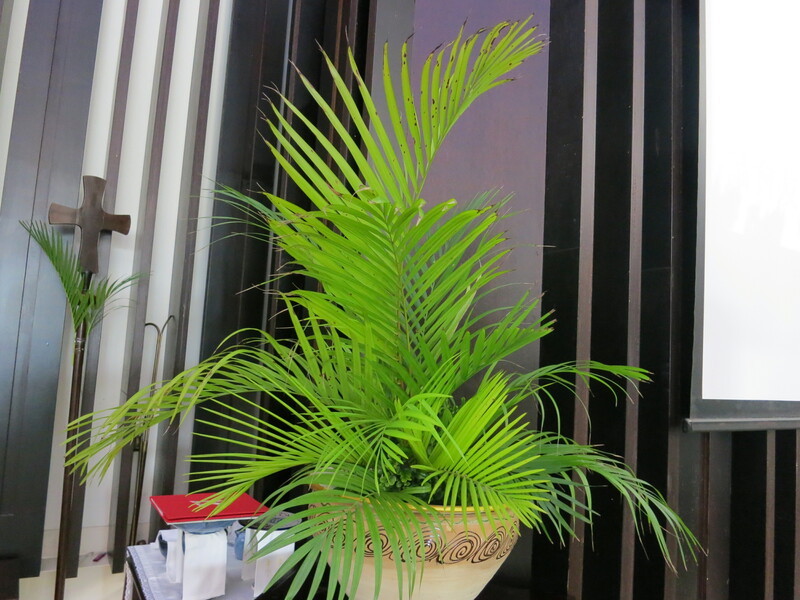 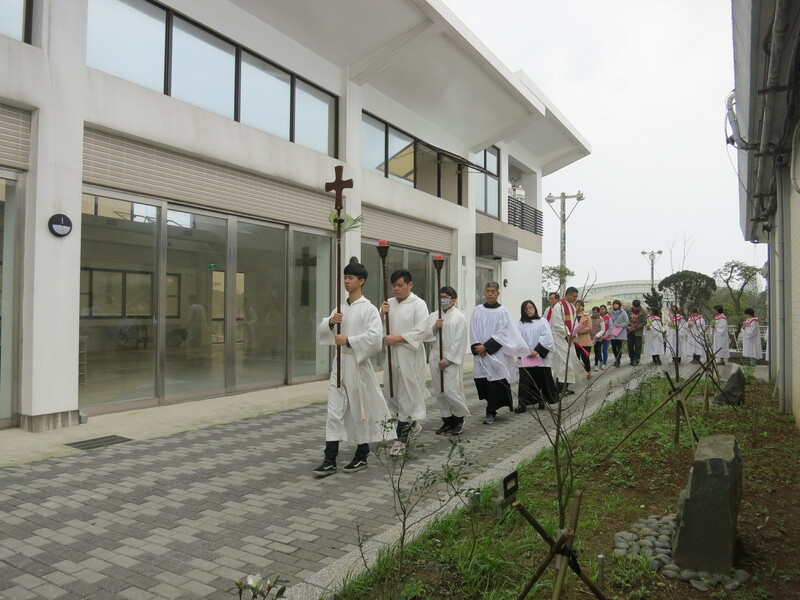 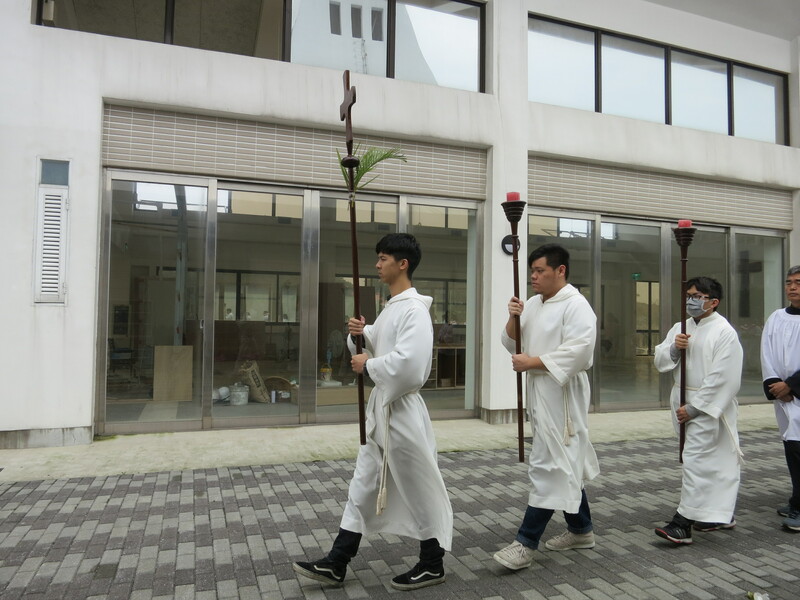 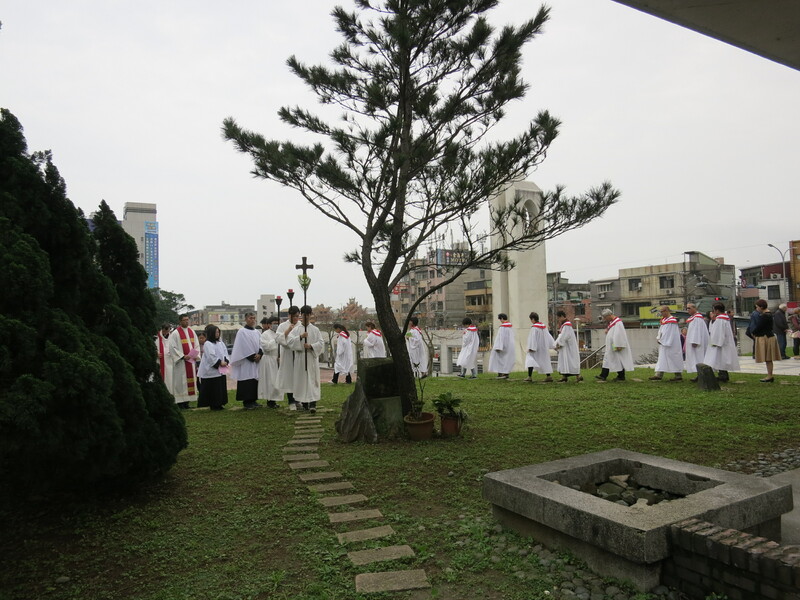 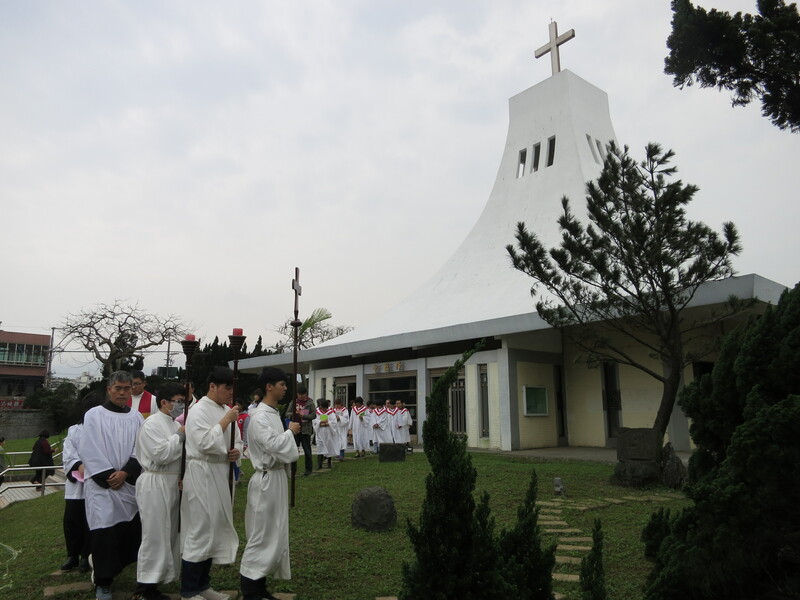 Yesterday at Advent Church, a procession with palms around the church stopping for a few seconds at each Station of the Cross, and then a drama of the events of Holy Week during the Gospel reading…. 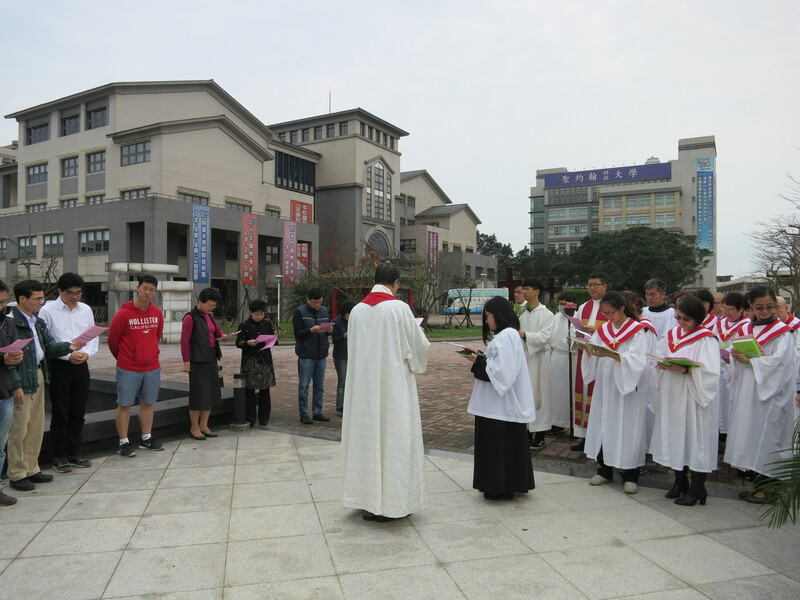 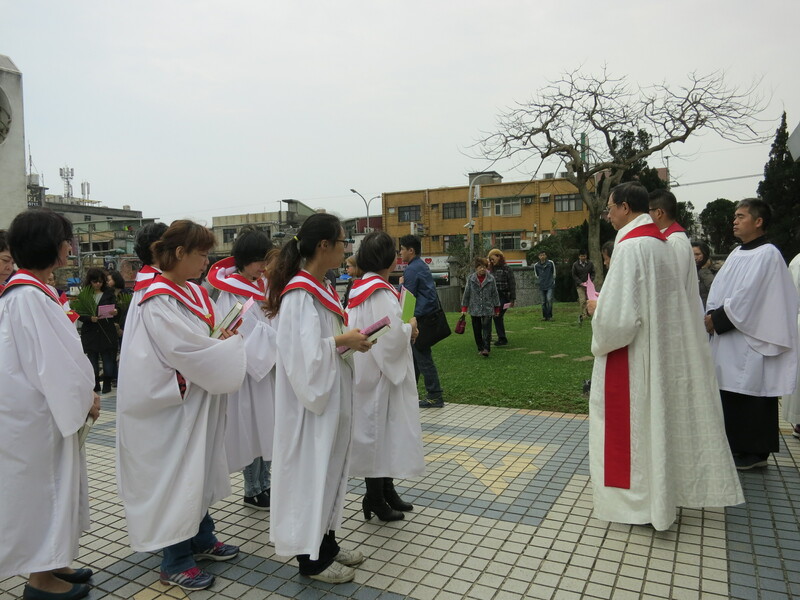 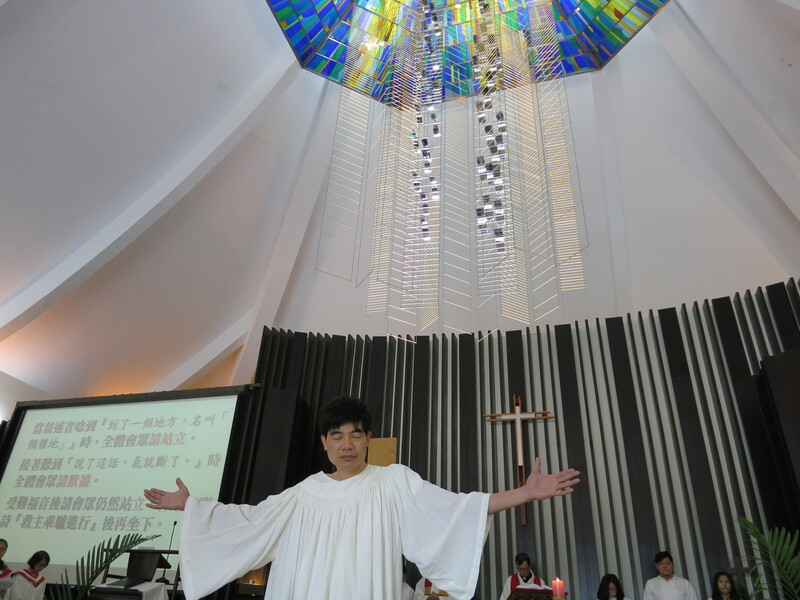 At the end of of the service, our rector Rev. 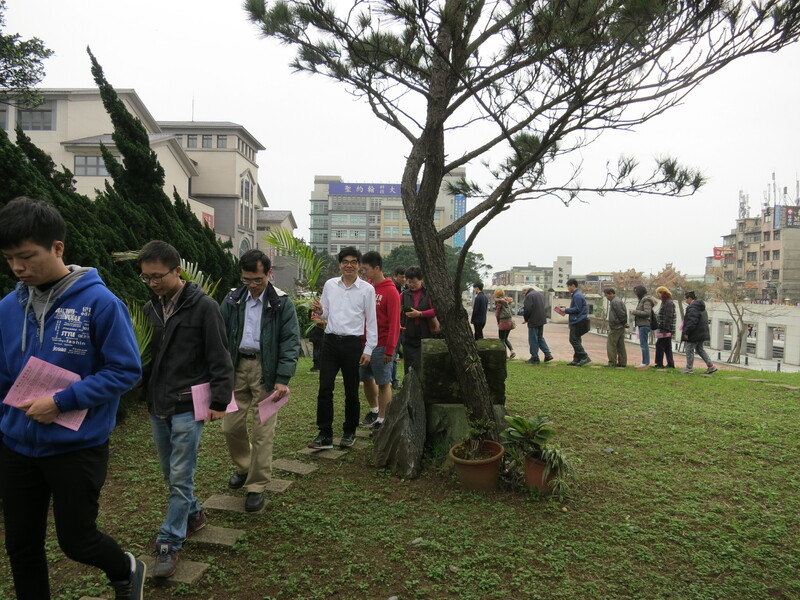 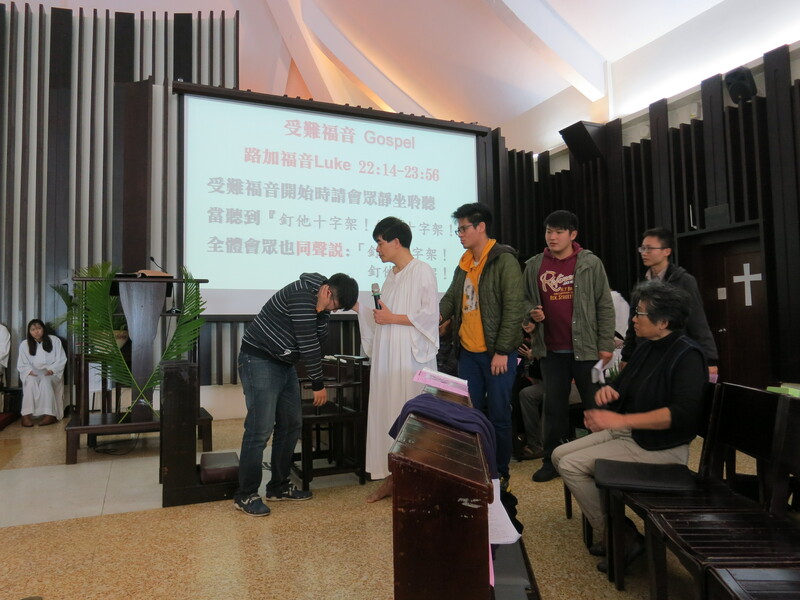 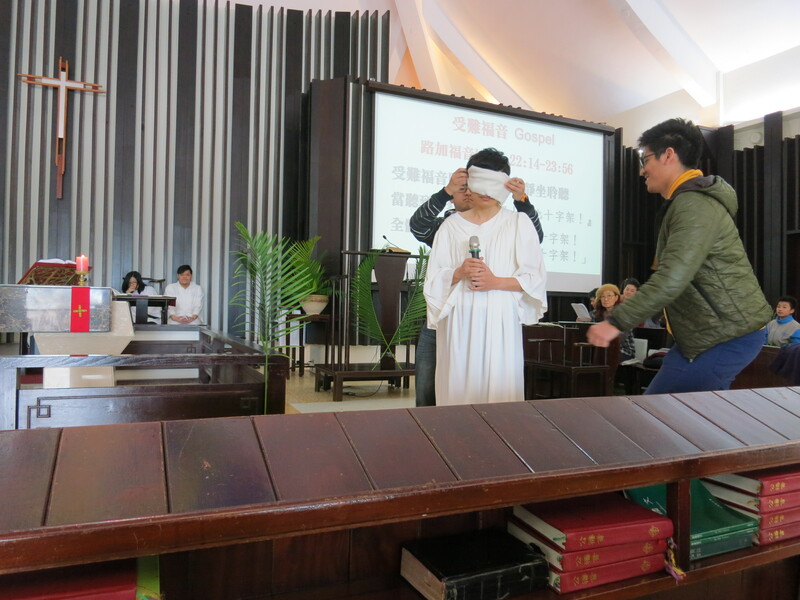 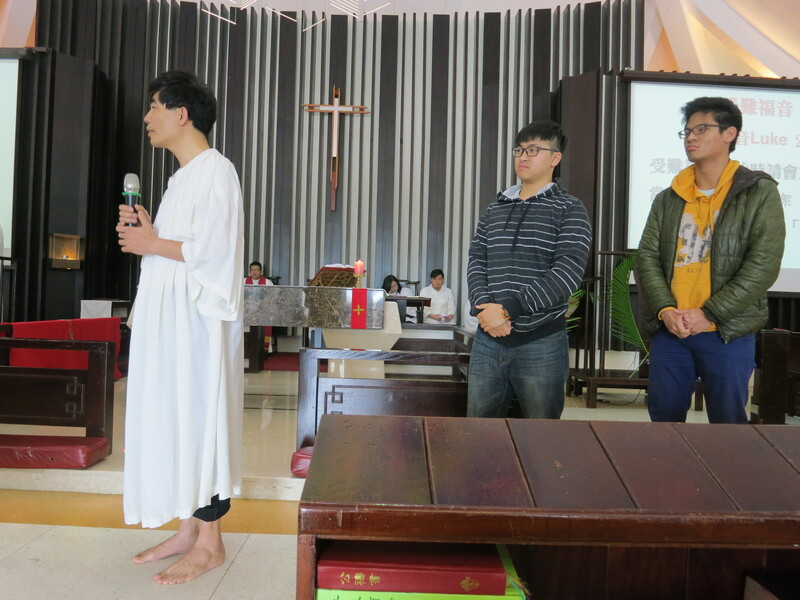 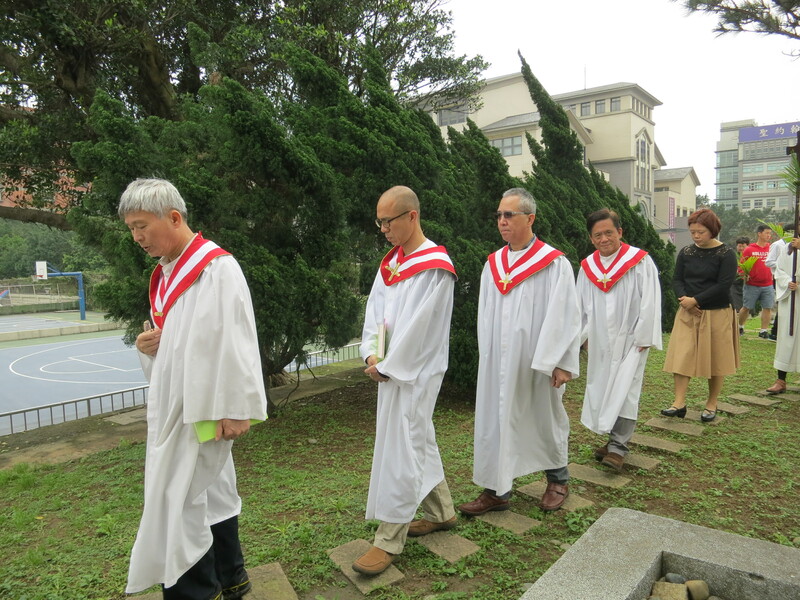 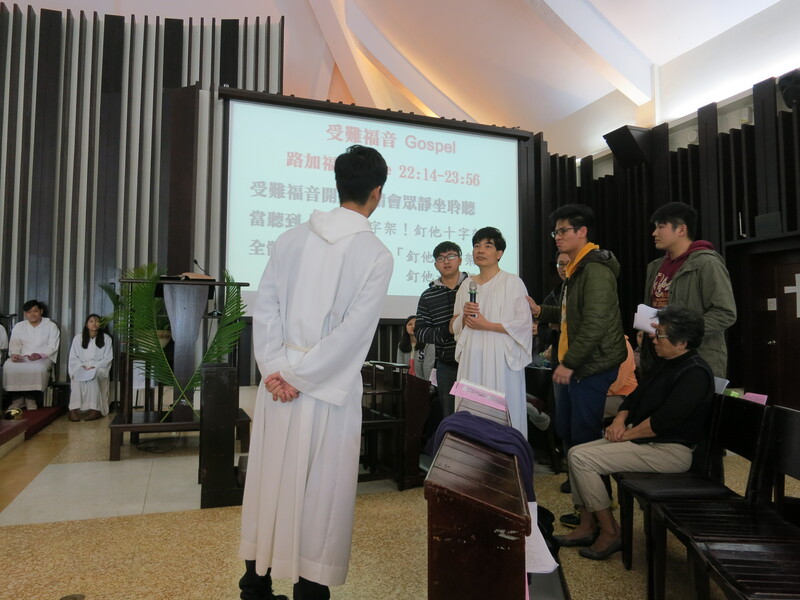 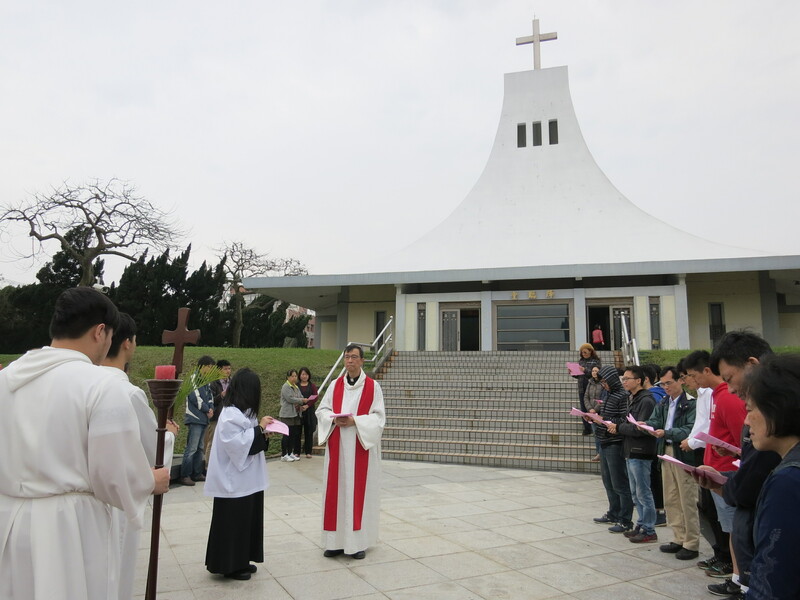 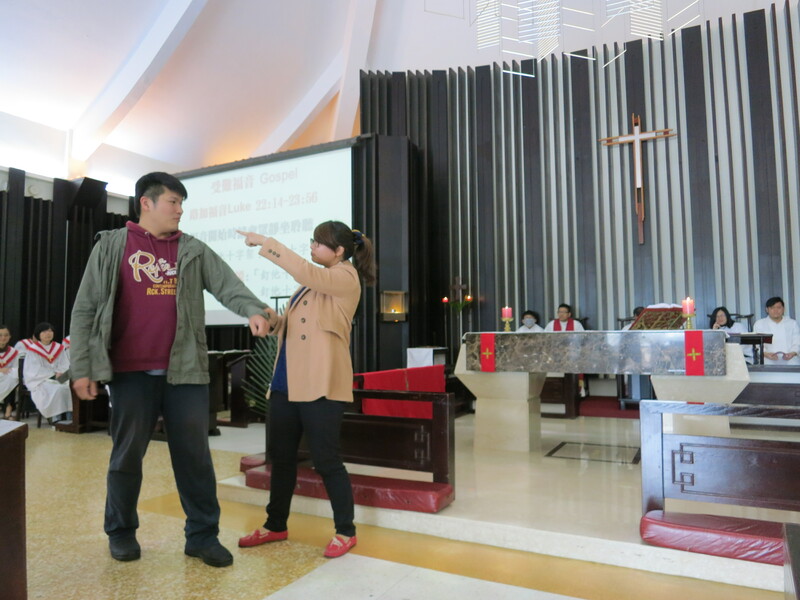 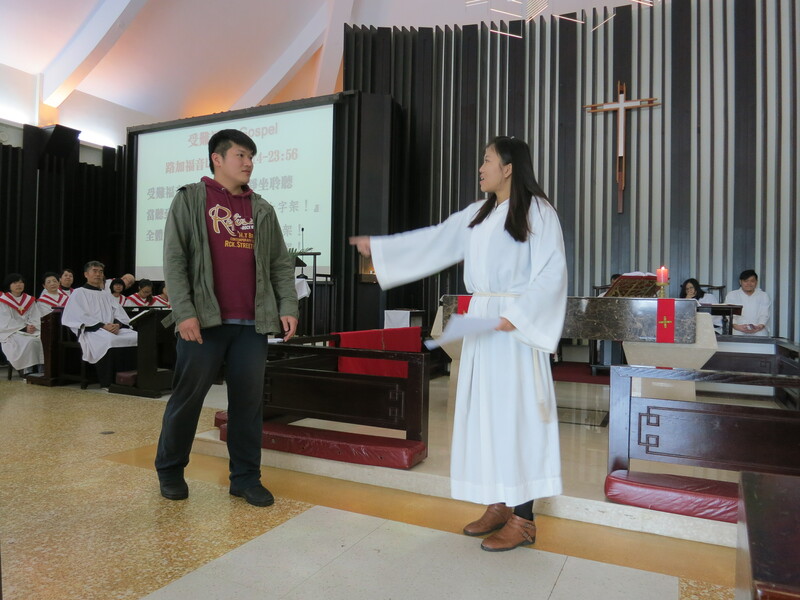 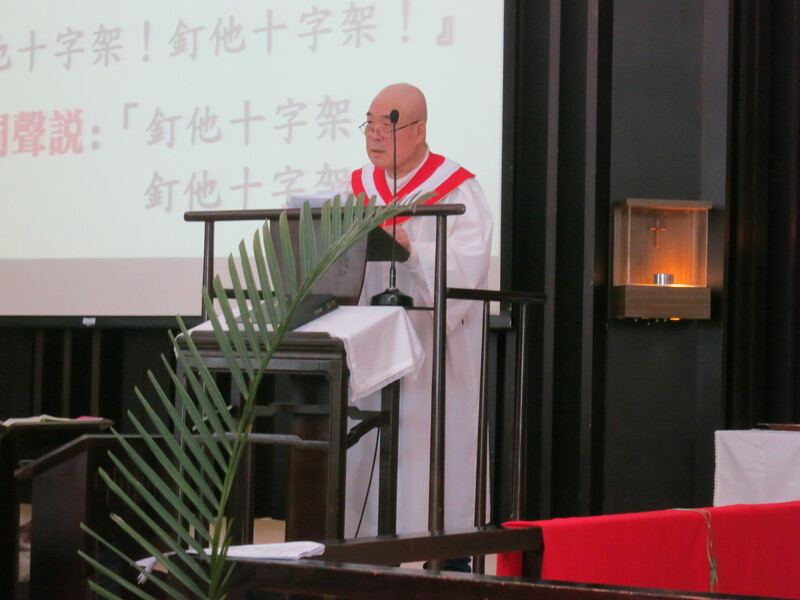 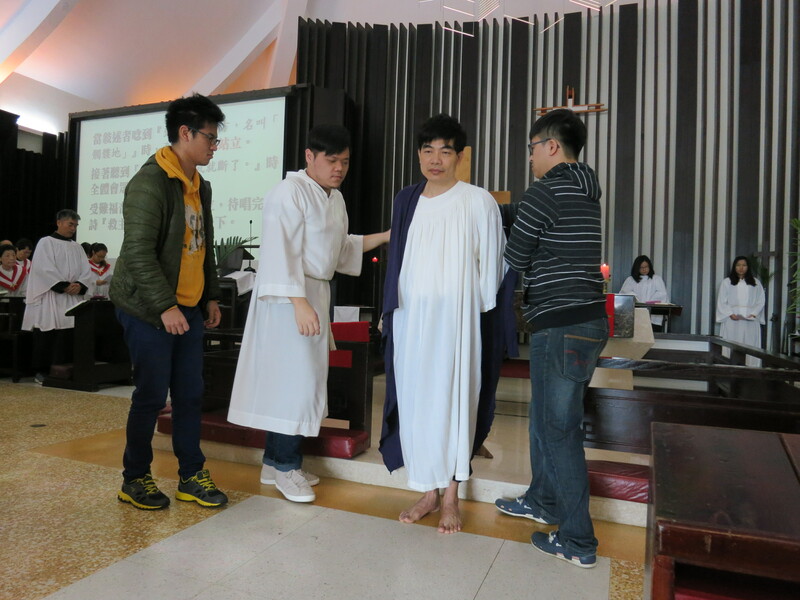 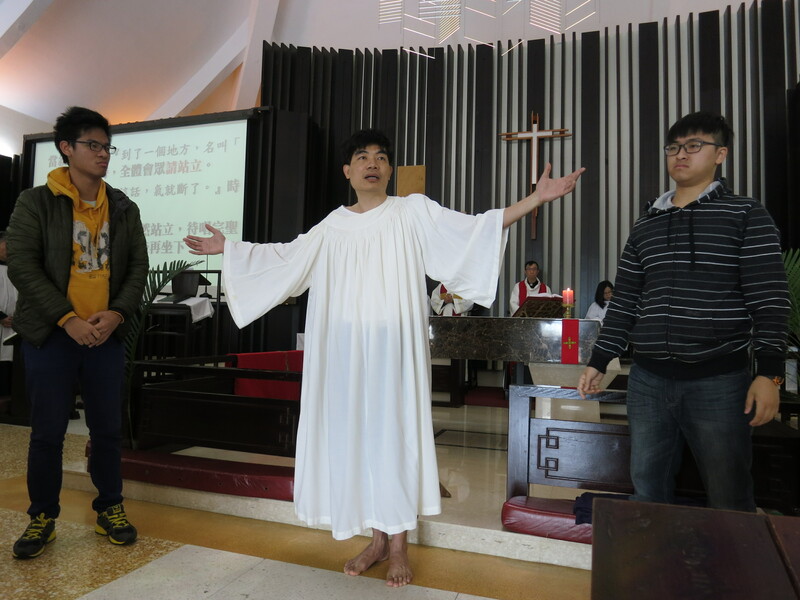 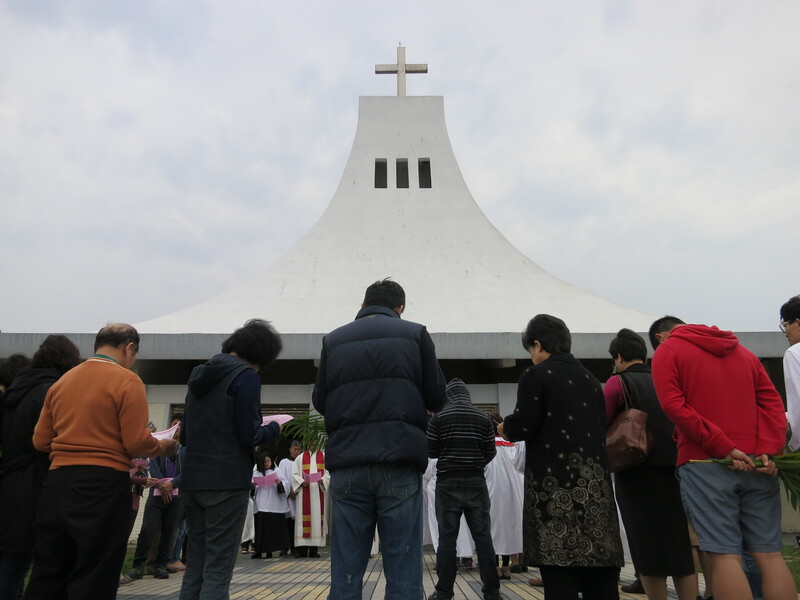 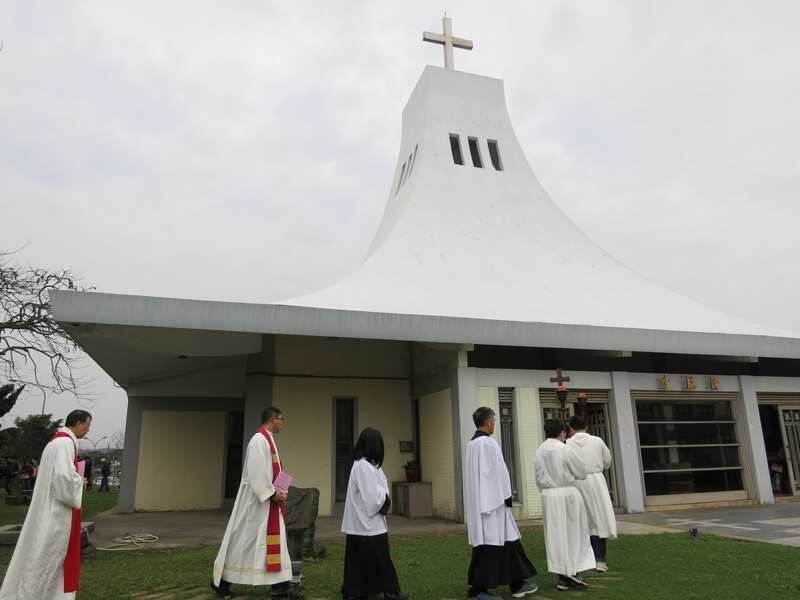 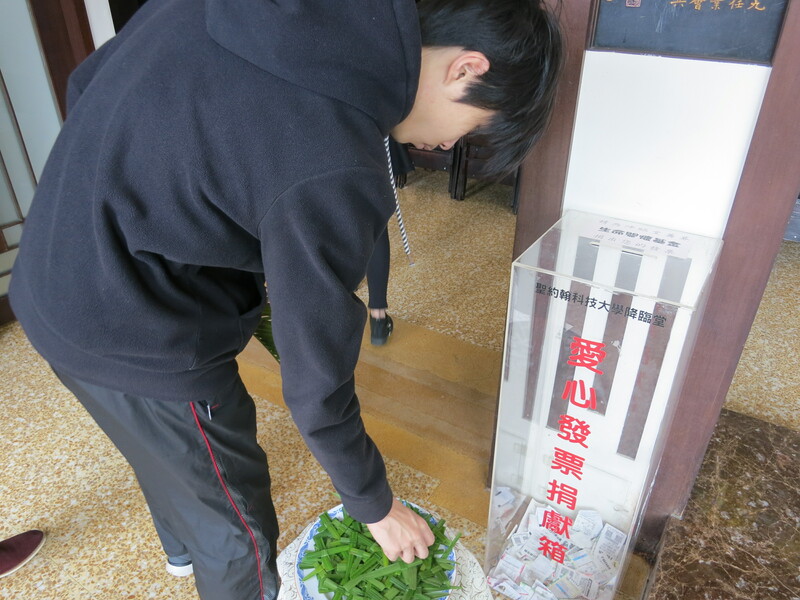 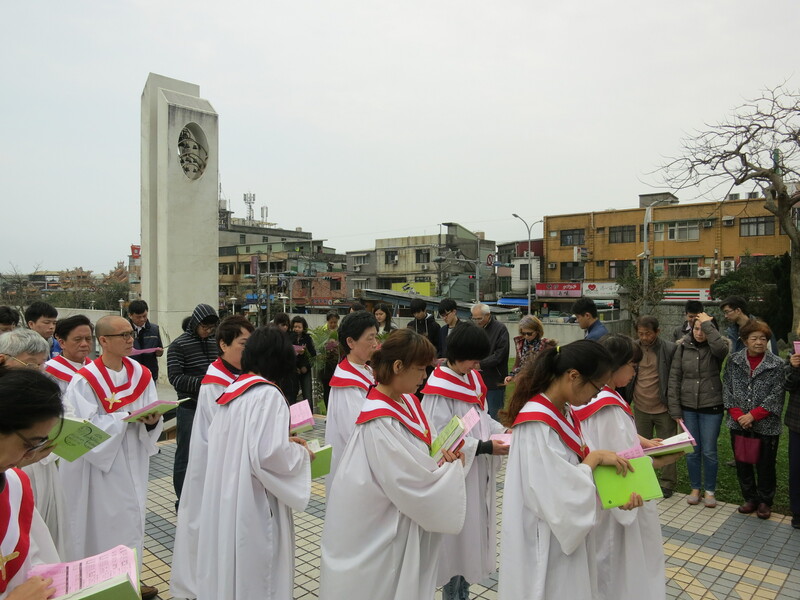 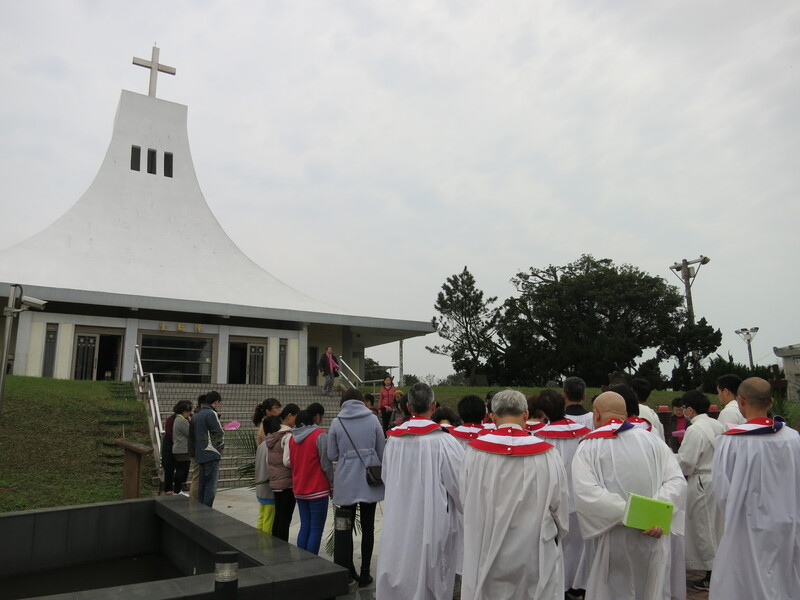 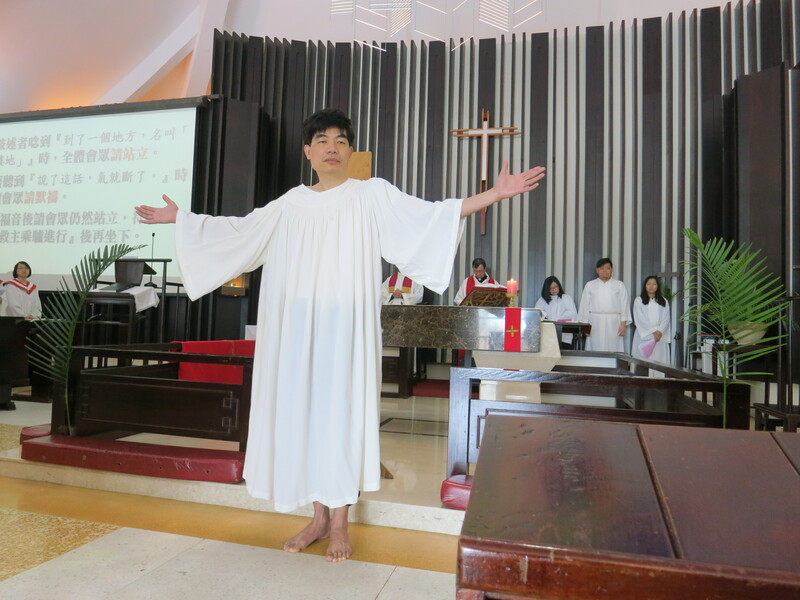 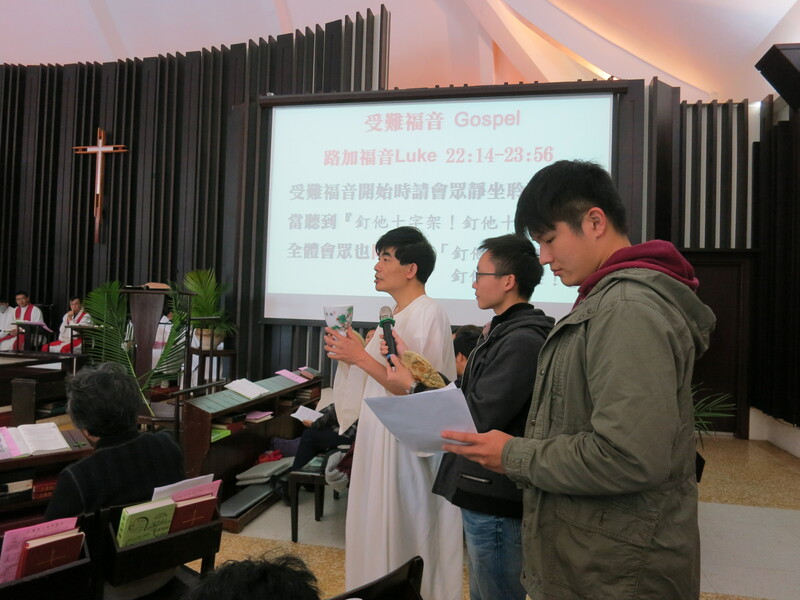 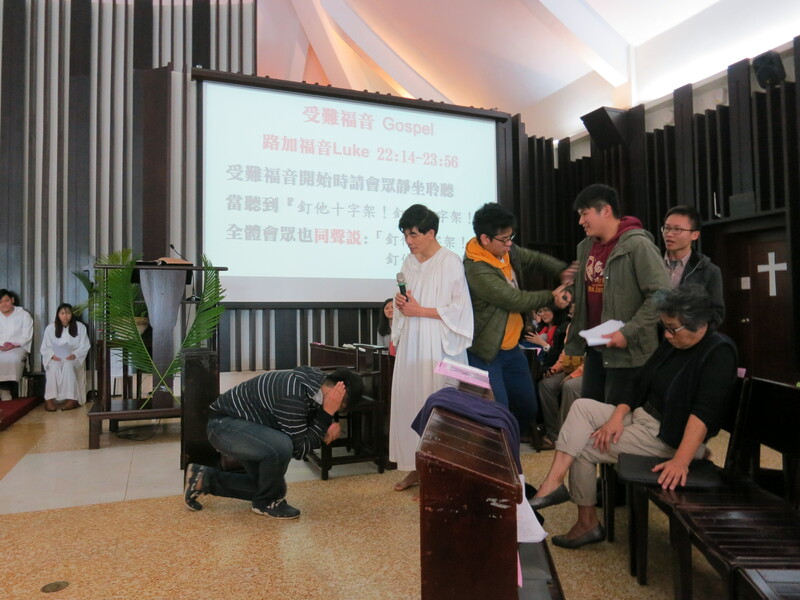 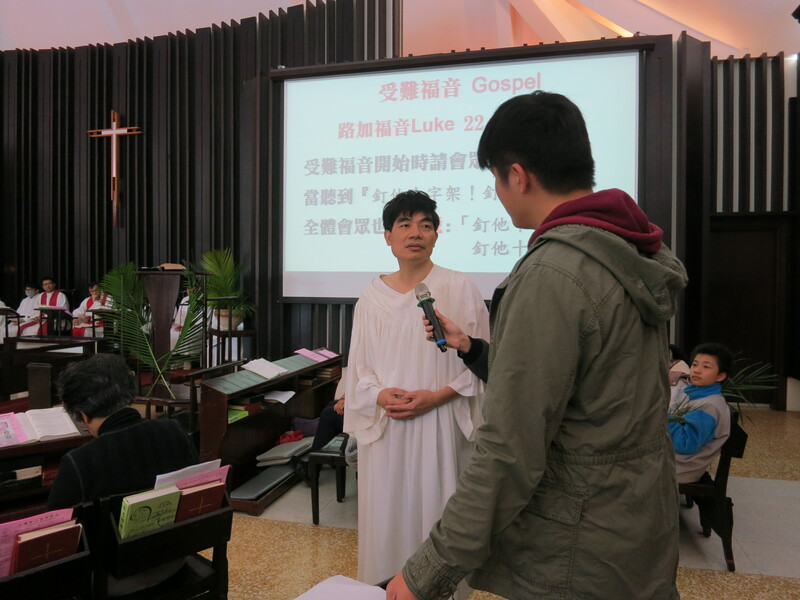 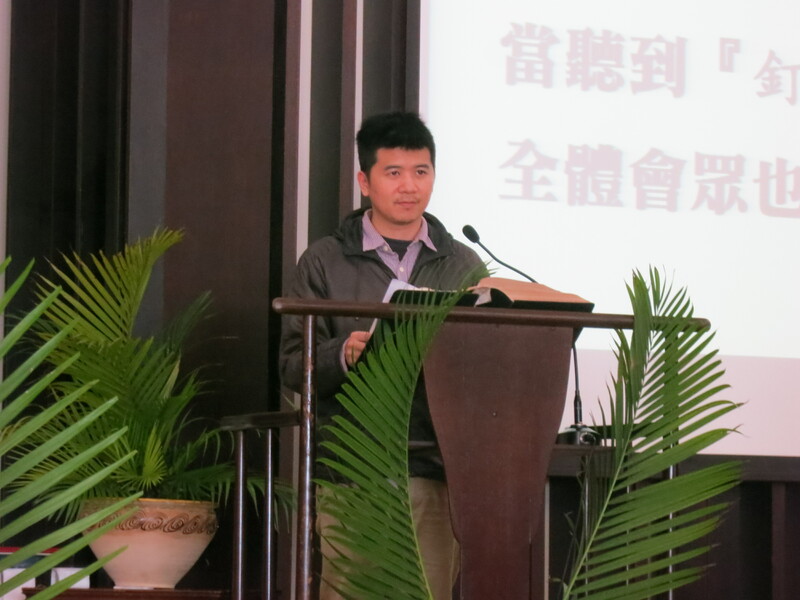 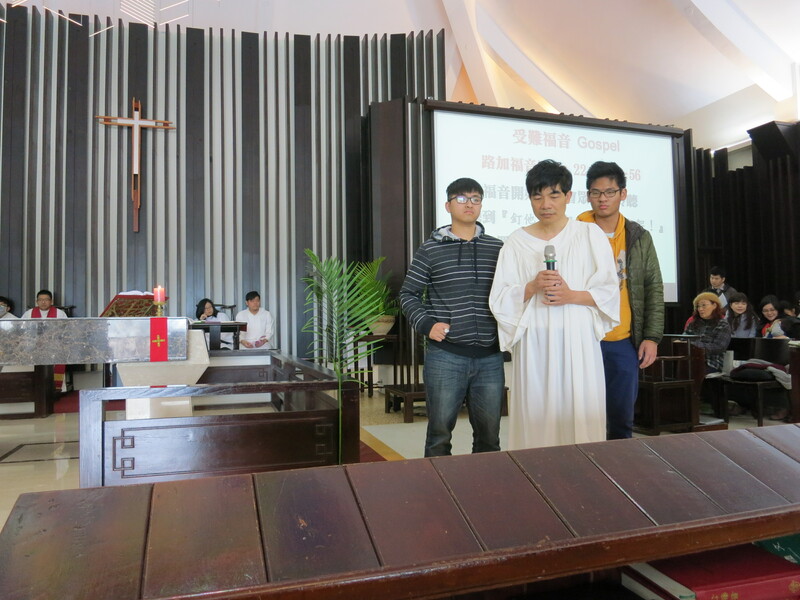 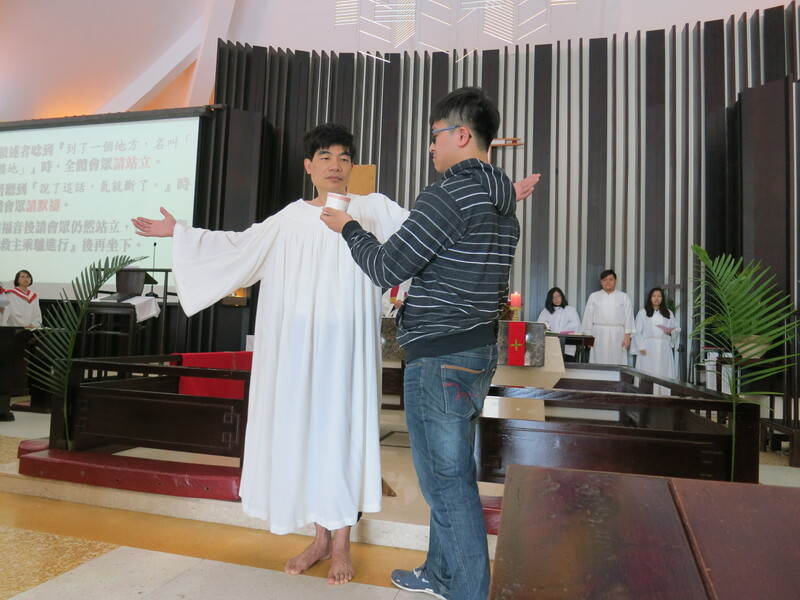 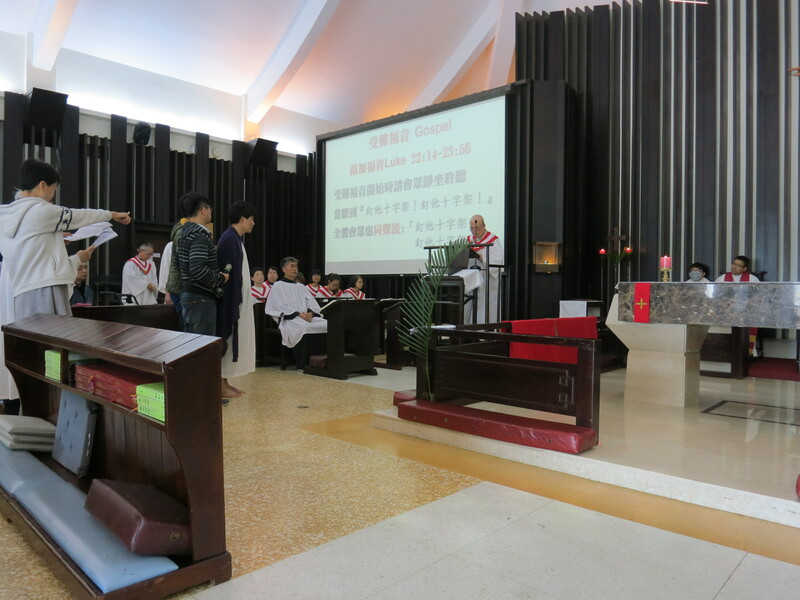 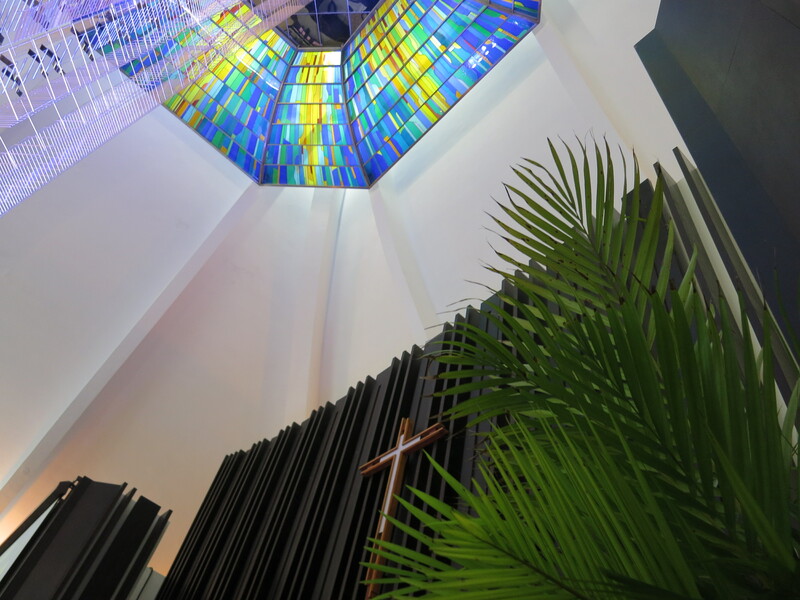 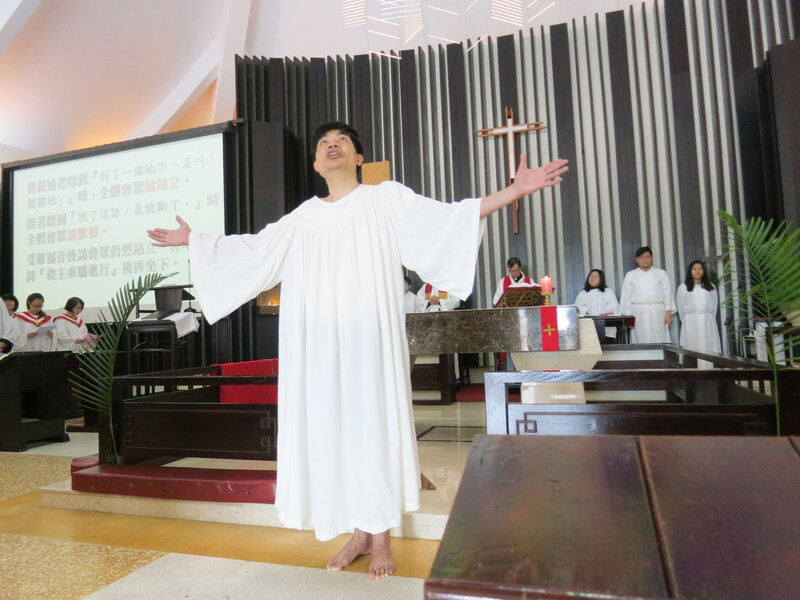 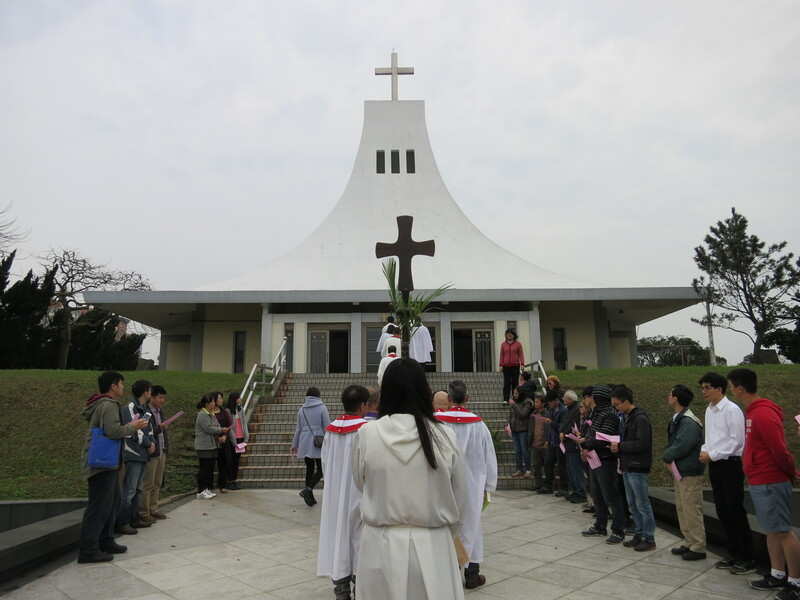 Lennon Chang encouraged to do less of 3 things and more of 3 others during this coming Holy Week ~ less talking, less eating and less watching TV, and more confessing of our sins, more praying, more reading the Bible….. 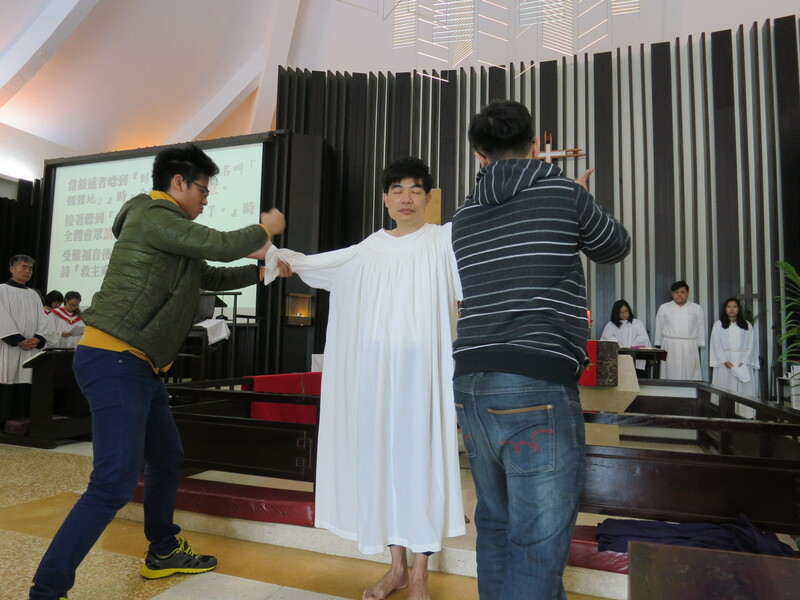 So wishing y’all a thoughtful, meaningful and blessed Holy Week…. 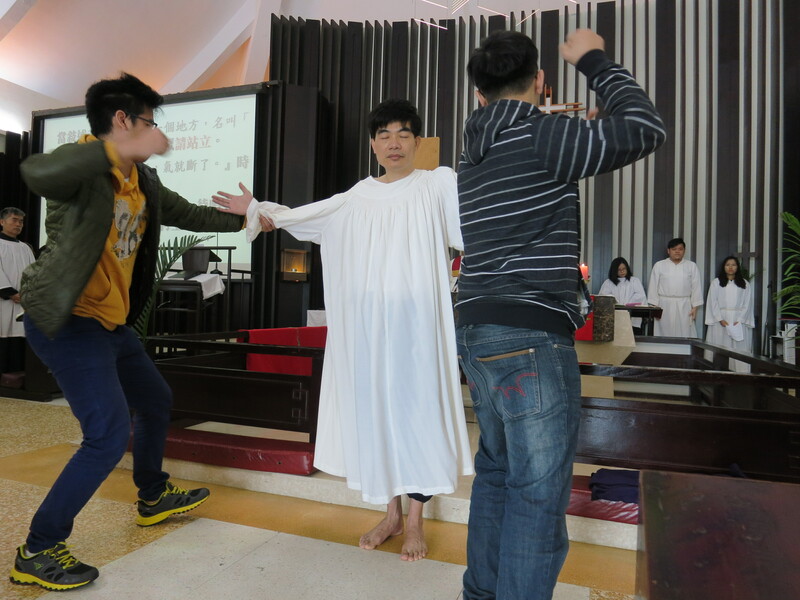 PS Notice the absence of the crown of thorns on the man playing Jesus in the drama? 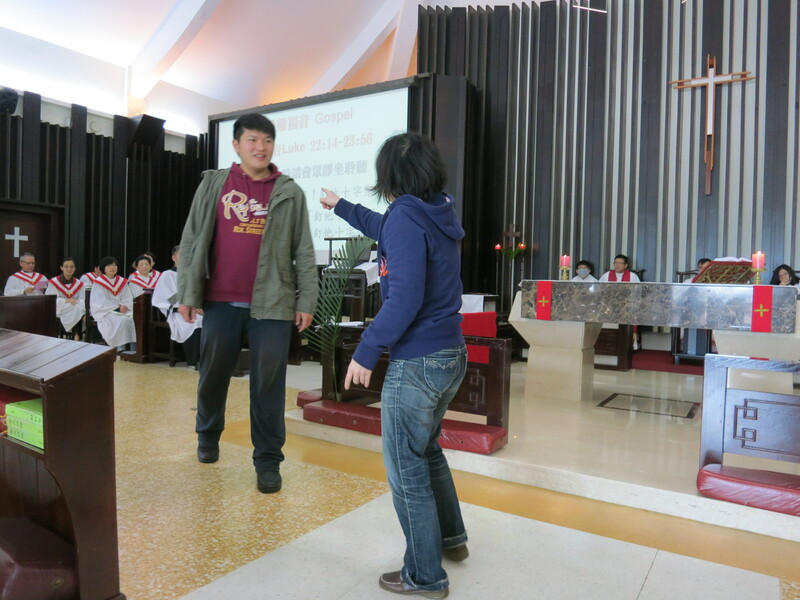 It’s lost! 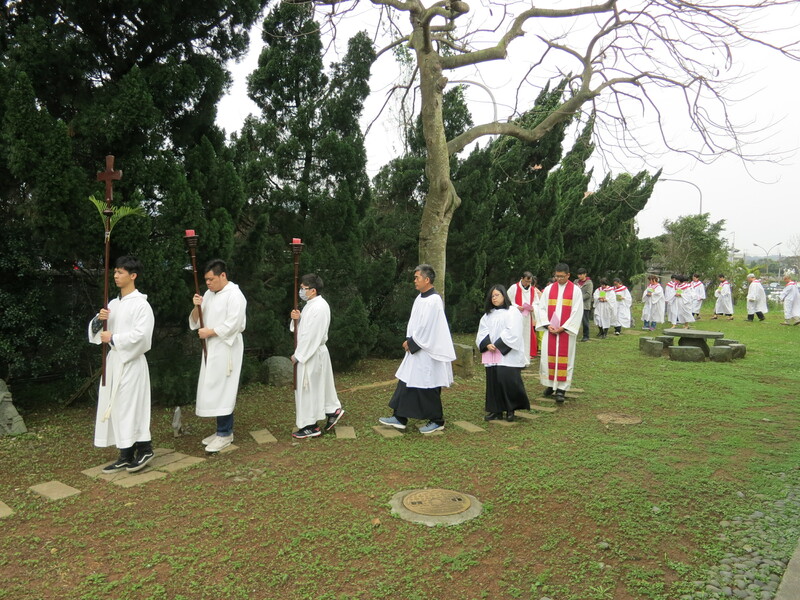 Hoping to find it before Good Friday!